Miao & WafuPafu Comic Blog » Miao doesn’t look like Miao? Miao doesn’t look like Miao? I had a new haircut lately, a hairstyle I never had before, a short standing hair and no more long hair covering my face XD. Not enough food to eat..
Posted on August 17, 2010 by Jian Akiraceo. This entry was posted in Ofix and tagged new haircut. Bookmark the permalink. The one on the right? Got a sticker says “Jian” on him leh. Why only when dating, will change hairstyle? Looks cool with your new hairstyle… haha!! Love Wafu Paku… so cute!! ><"
u r the one in green shirt!!! 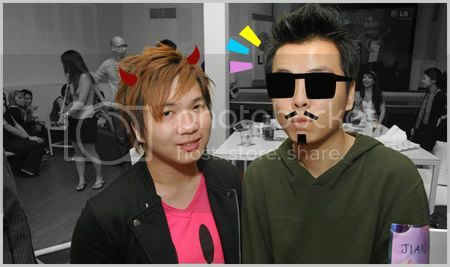 i like ur new spikey hair…u look more leng chai than b4…*blush*blush*…. 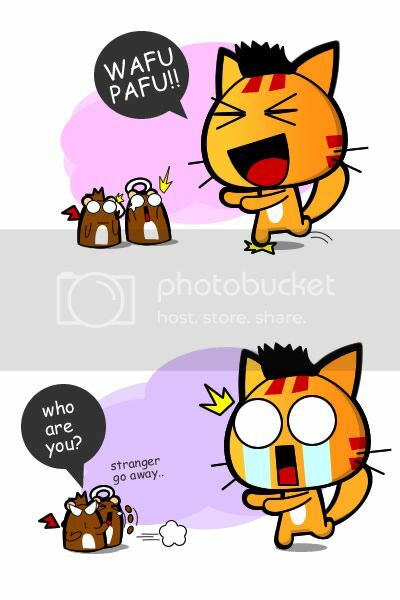 Hahaha.. confirm that one is me? hahahha.. cz u seldom change style ma.. so people ask lorr..
if i change my hairstyle, i think no one even realized. HAHAHHA! Hahaha you always change eh? ur lappy died as in naik kereta, or just the battery flat?? OMG!! Is it juz me or did MIAO look like Kenji Harima from School Rumble…??? ok oh.. this hair style quiet common.. should change u hair color, bro! haha, happened to me too once! I used to have long hair, then one morning I woke up and decided to shave my head bald! All my friends were stunned. I met a new friend the night before, I met him again and he couldn’t recognize me at all after the shave, hahahaha. hahaha still ask us to guess. 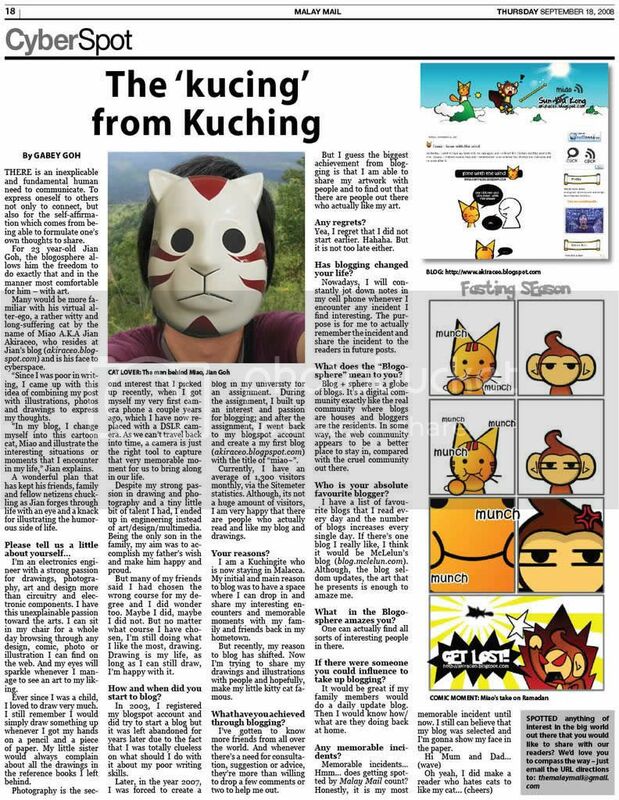 of course the most suspicious looking one with tonnes of things covering his face and a ‘jian’ at the right corner lol. Looks like Kam Yu Lou! LOL. what’s with the fake black sunglasses? can’t c ur leng chai face also!!! btw , why say blogger to hv such hair is cool? I dun think I can recognize you lor !!! ahahaha…. wow! really shock ! is 2 diff miao as i seen b4 …. 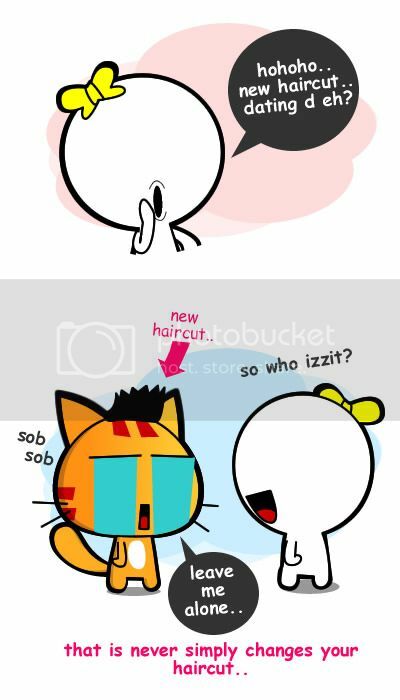 so if i din see u b4, i oso know right hand side tat guy is u la…..
i like ur new haircut! Wahhh!!! so lengchai already?! When come KL again?? Yumcha on? Hahahah XD with big spectacles and one side combed hairstyle? Eh..u look better wif tis haircut leh…maintain maintain! i think bot of them is not you right?? ?